Alanda July 4, 2017 1 Comment This post may contain affiliate links. 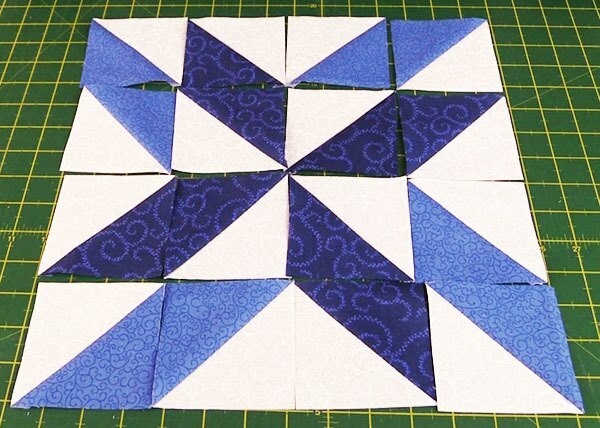 The Mosaic Pinwheel Block is such an easy block to put together and it creates a beautiful effect. 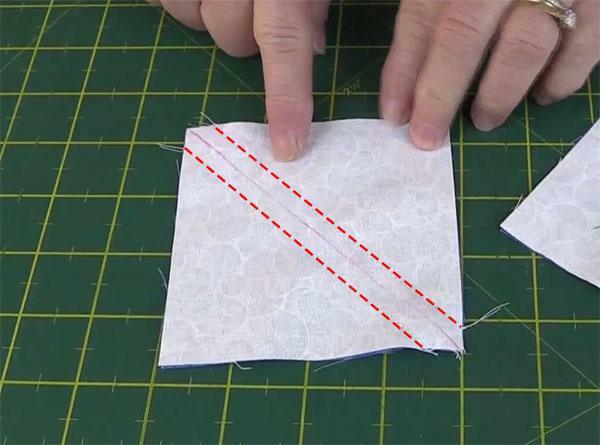 Sew a quarter of an inch line along each side of the drawn line for each of the squares. 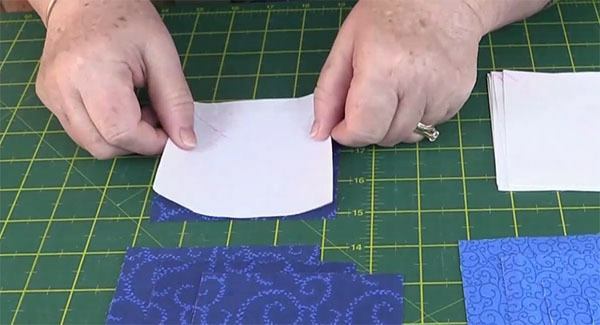 Slice along the line on each of the squares with your rotary cutter. 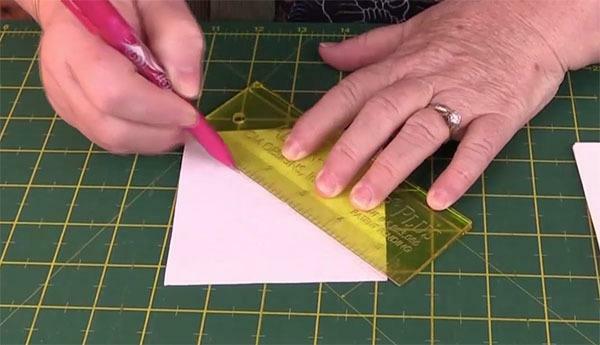 You should now have 16 half square triangles – 8 for each colour. 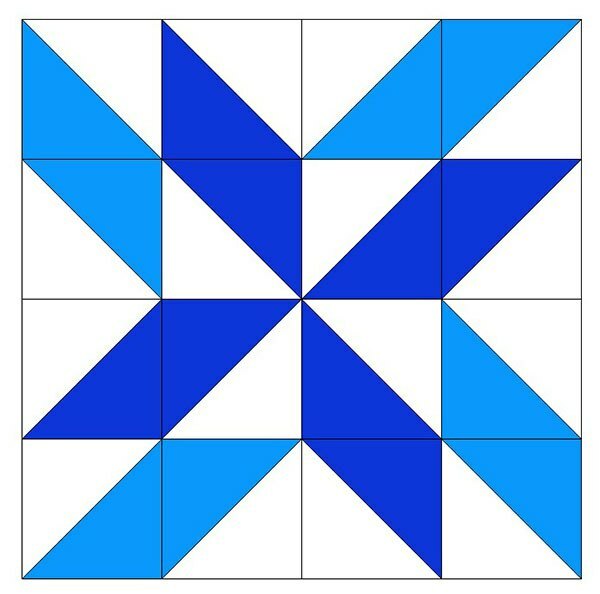 Now it’s time to trim up each of the half-square triangles. We want to trim them back to 3 1/2″. 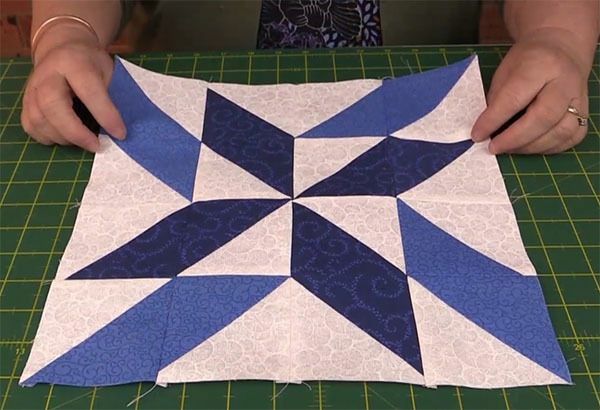 Check out our tutorial here on how to do that – How to Square Up a Half Square Triangle. 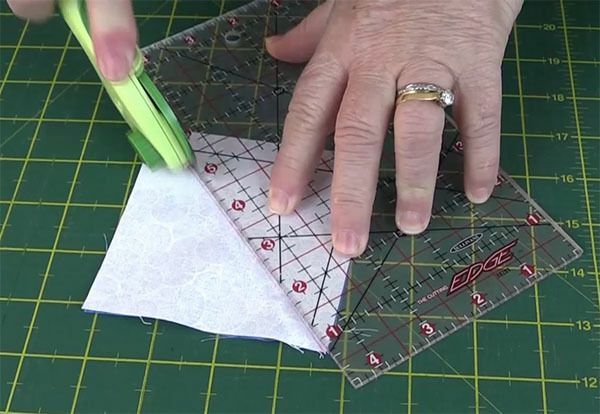 Once your half square triangles are trimmed, you ware now ready to piece it together. Lay out the triangles as shown below. 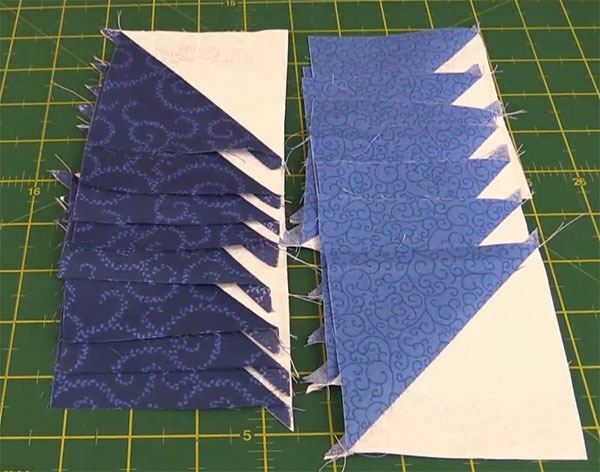 Now you simply need to sew the blocks together into rows. 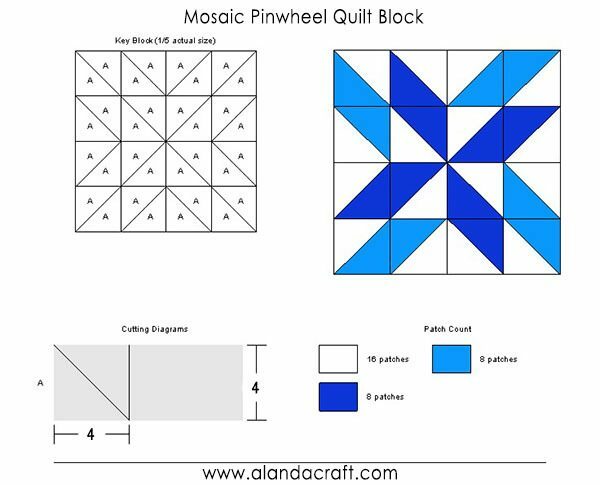 Once you have your blocks sewn into rows, you can now sew the rows together to form your Mosaic Pinwheel Quilt Block.